Raspberry Lemon Punch: a delicious and simple beverage idea for baby showers, weddings, family gatherings and more! This post is brought to you by Tastefully Simple. All opinions are mine. Spring time is all about celebrating the brand new things in life. As the weather gets warmer more and more gatherings seem to be planned. Baby showers, wedding showers, family gatherings and other occasions bring us together for all of life’s milestones and celebrations. One of my closest friends and his wife are expecting their first little bundle of joy this Spring and will be having her baby shower in just a few weeks. 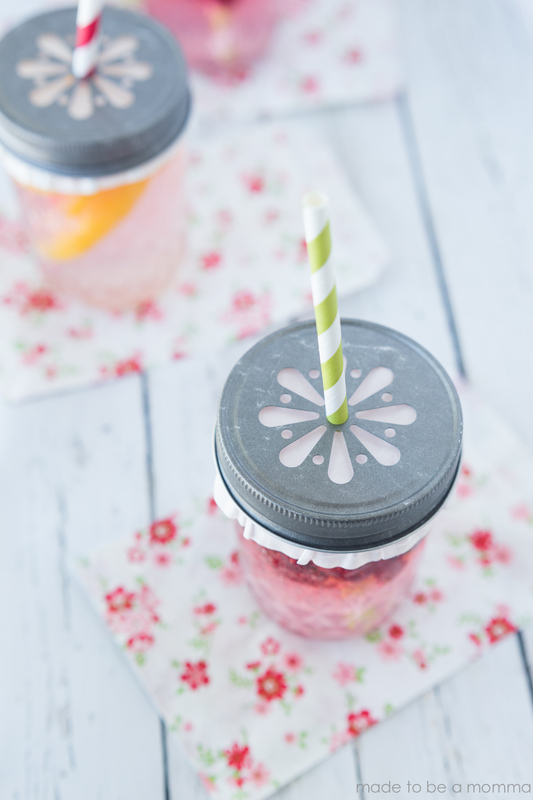 This raspberry lemon punch is the perfect sweet drink for a day full of baby wishes and goes perfectly for a day full of baby wishes and goes perfectly with Tastefully Simple’s Baby Shower Collection. 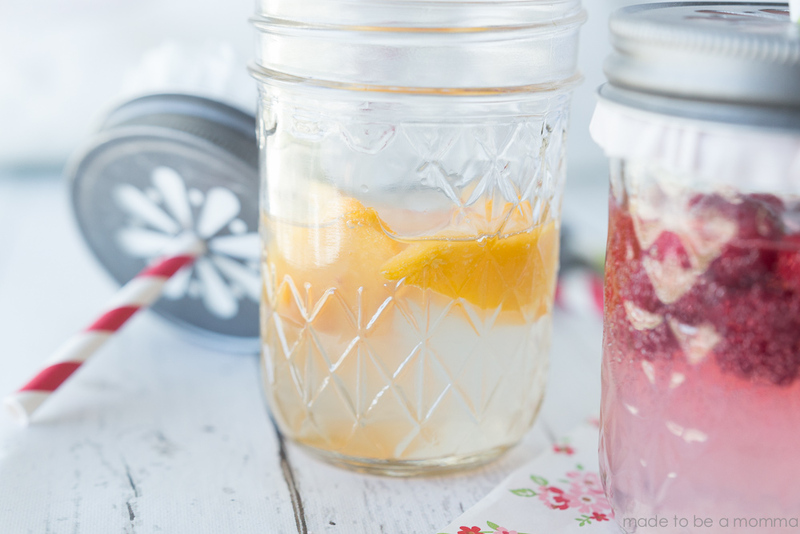 I love being able to add a little something special to any of the gatherings I have and these fancied up mason jars are the perfect way to dress up any occasion. 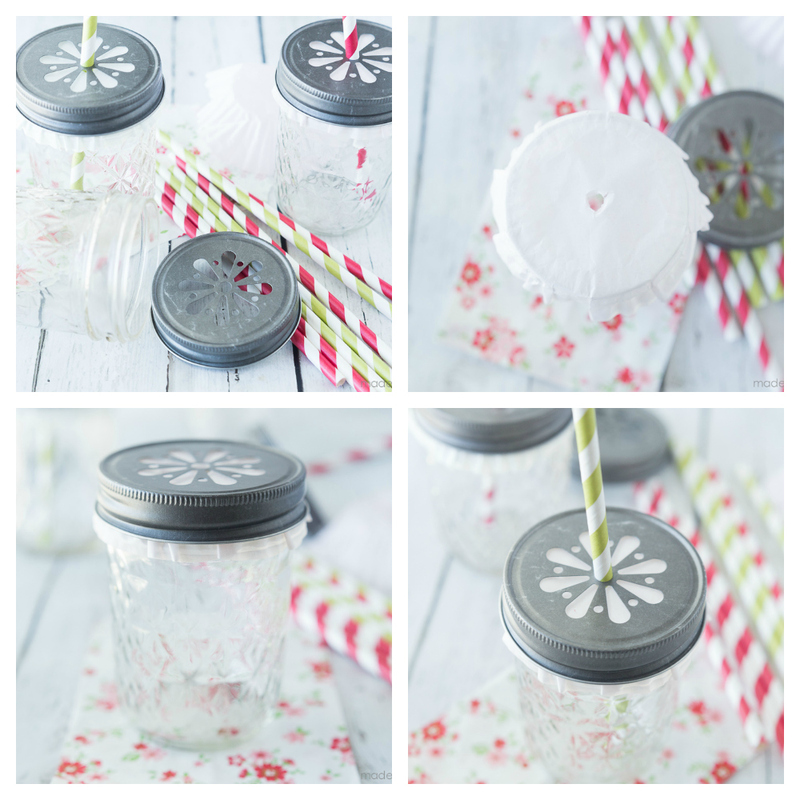 Lay a cupcake liner on top of the mason jar opening. Using kitchen sheers, poke a whole in the middle of the cupcake liner. 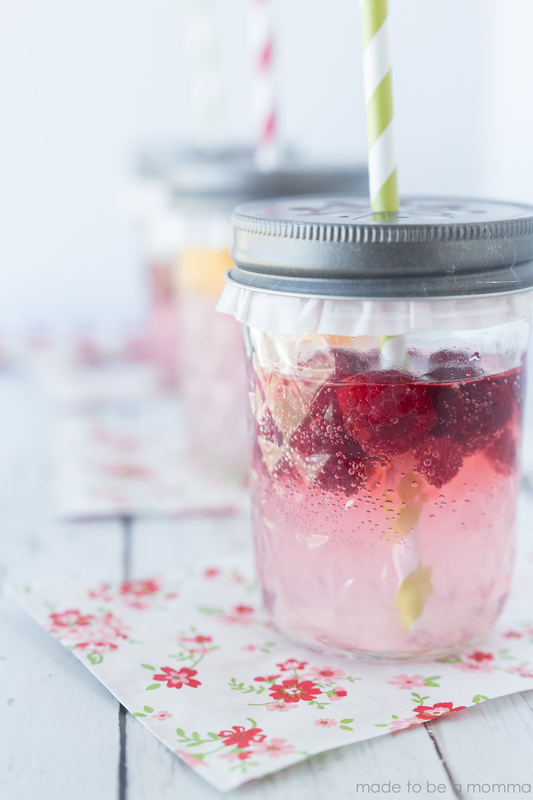 Fill with beverage, twist on the mason jar lid and insert the decorative straw. For this recipe I used frozen raspberries in one glass and frozen peaches in another. 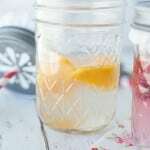 You could also use frozen lemon slices, mango or even blueberries for different flavors and looks. I topped off the Lovin Lemon Slush Drink Mix with Raspberry Ginger Ale but you could also use regular Ginger Ale or Sprite. You can present these in individual glasses or in one big punch bowl. You could even add a scoop of vanilla ice cream 🙂 The possibilities are endless! Mix together Lovin Lemon Slush Drink Mix with water until mixture has dissolved. Place frozen fruit in the bottom of glass. Pour drink mix in mason jar. Top with a splash of Raspberry Gingerale. For more simple and sweet baby shower recipes and ideas check out the Baby Shower Collection from Tastefully Simple. This looks beautiful and sounds delicious. I’m curious about the mason jar lids. Did they come from the craft store with the design already on them?